Through its partnership with Stevens Transport, B2B Transport immediately becomes a significant player in the transportation and logistic provider industry. It will be able to leverage off of Stevens' years of experiences, customer and industry related knowledge and contacts, superior financial resources and well established reputation in the field. Thus, B2B will be able to effectively work with major Fortune 500 companies which service customers throughout the United States, Mexico and Canada. It will utilize Stevens' well developed Intermodal relationships with the major railroads and the ability to accurately track routing assignments, shipping progress and other important issues and report on such matters on an extremely timely basis. Additionally, B2B will offer logistic and third part outsourcing capabilities through access to the Stevens' service centers, strategically located throughout North America. J.O. 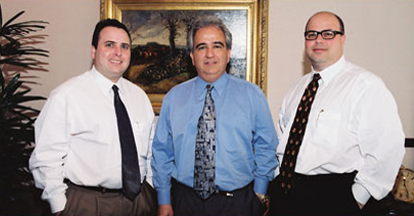 Alvarez, Jr. (in the middle) is the 51% owner and President of B2B Transport and manages the day-to-day operations of the business. 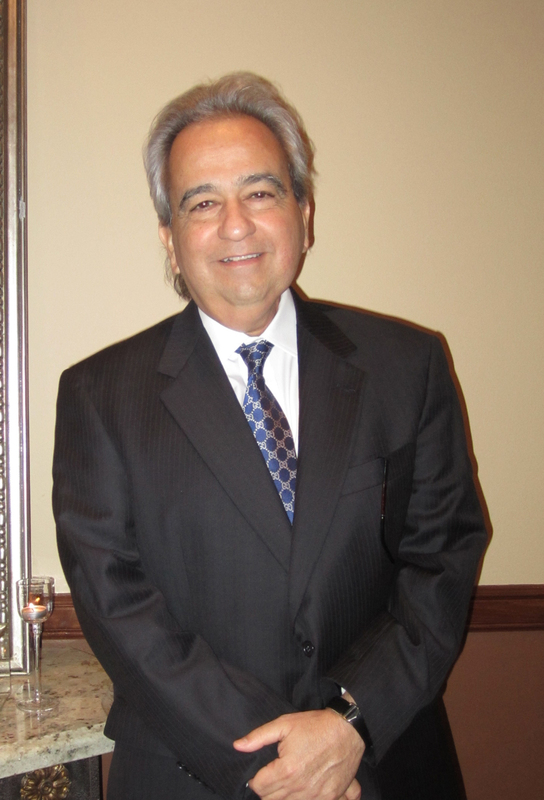 He has over 30 years of experience in the transportation industry, having started his own firm, J.O. Alvarez, Inc.
Todd S. Aaron serves as Sr. Vice President of Sales and Marketing for B2B Transport. He guides the executive marketing team in coordinating the comprehensive strategic planning efforts on behalf of the company. His team's vision enables their customers to focus on their true core competencies and their ongoing business operations, know that B2B will work to ensure they meet their ongoing, ever-changing needs with regards to transportation and logistic services. Currently, T. Aaron serves in a similar capacity at Stevens Transport, the 49% owner f B2B Transport. T. Aaron has moved up through the corporate ranks since joining the firm on a full-time basis in 1984. In that year, he earned the prestigious "Sales Rookie of the Year" honors for his high level of production and the exceptional degree of customer service he provided. Under his leadership, Stevens has grown into a true international company serving global customer throughout the United States, Mexico and Canada and has received numerous awards for excellence in service. Clay Aaron serves as Vice President of Administration for B2B Transport. He directs and oversees all functions related to human resources, logistical services, technology, purchasing and procurement. Currently, C. Aaron serves in a similar capacity at Stevens Transport, the 49% owner of B2B Transport. He joined Stevens Transport in 1993 and has been largely responsible for implementing the major enhancements in technology such as document imaging that have contributed greatly to the company's success over the past few years. The Company is well respected throughout the industry for its ability to efficiently transmit incredible amounts of useful information to drivers and customers anywhere across the United States, Mexico and Canada. C. Aaron has also directed the successful logistics program which operates numerous service centers throughout North America, to ensure excellent customer service and driver support. C. Aaron serves on the Board of Directors for both B2B Transport and Stevens Transport.